Make-up Revolution has taken over the beauty and blogging world since it's release and form I can see they seem to have more new releases than hot dinners coming out of their offices! 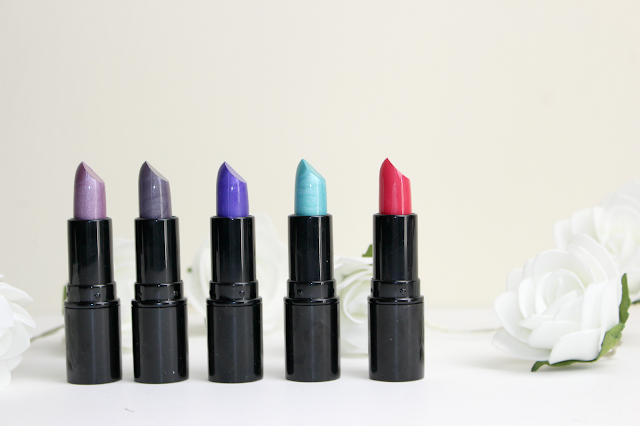 Say hello to another fun and funky lipstick collection - Unicorns Unite. I mean, nowadays, who isn't a fan of pretty unicorns, fun shades and something a little out of the norm! 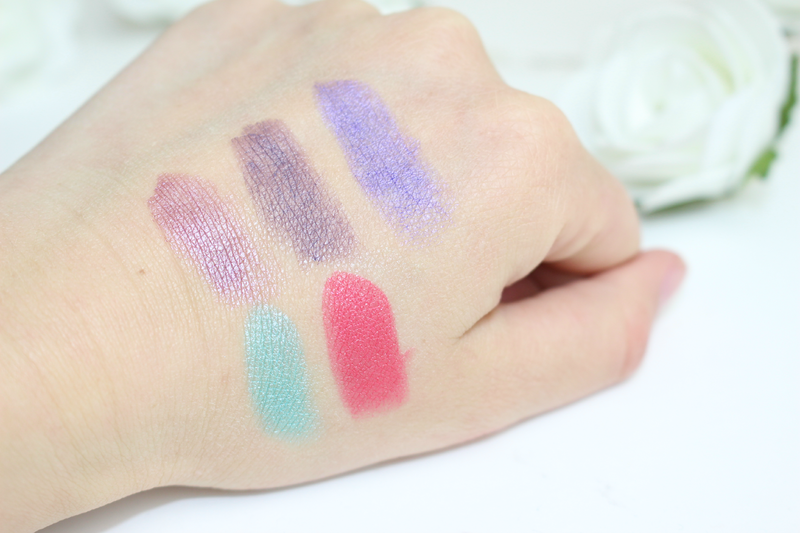 This 5 shade collection isn't something I would usual go for colour wise (minus Myth... that's so up my street!) but I've actually fallen in love with Throne and Legend and with Halloween just around the corner these colours could be a fabulous last touch on a spooky or out of this world costume! These lippys are only ..... £1 each! Yes just one tiny British pound OR you can buy the whole collection for just £4- saving £1! What a Barry bargain! These look so pretty and I know something I wouldn't normally go for them either ur it is the perfect time for them. These shades are all so cool and funky, complete bargain too, I find the MUR lipsticks such good quality. They are perfect in time for Halloween! Really can't go wrong with these for a pound!! these are all so fun! Would so wear all of them :p perfect for halloween too! These are lovely! The purple shades look great for Halloween :) Can't believe they are only £1!